The mayor who cared for a city now cares for his wife. He was one of Toronto’s most effective and popular mayors. He was a member of Parliament. He began his career as a teacher and he is now Chancellor Emeritus of Toronto’s Ryerson University. 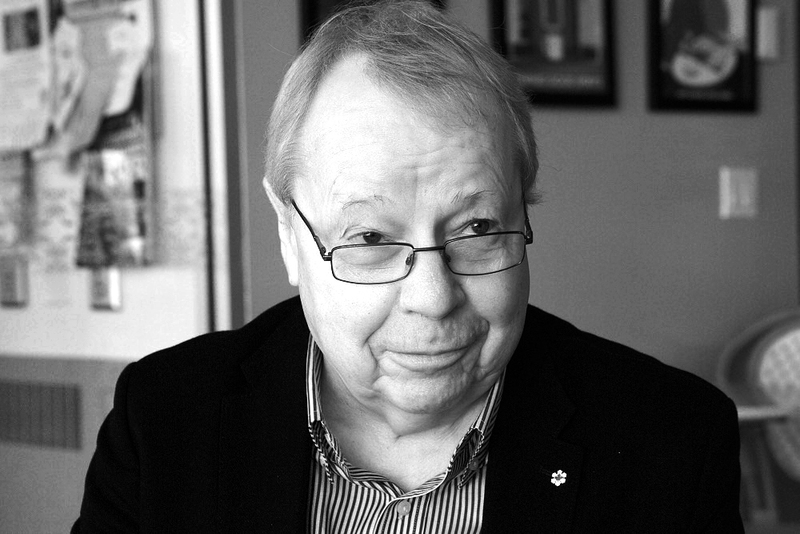 At 78, David Crombie remains active on a wide variety of civic issues. But recently he took on a new role: caregiver. ALZ: Tell us about your wife, Shirley. DC: I met Shirley in our Grade 10 French class at Earl Haig Collegiate. We were 16. I started taking her out to dances that year, and that was the beginning of a romance and partnership that has lasted now for more than 50 years. We got married when we were 24. We had four kids in four and a half years, although we lost one at almost four months. We raised our family on Glencairn Avenue, where we lived for 41 years. We now have four grandchildren who, as grandparents tend to do, we adore. Crombie: Met Shirley in Grade 10, the start of a romance and partnership that has lasted for more than 50 years. It was hard at first for me to see that anything unusual was going on with Shirley. She’s always been quiet. ALZ: Shirley was recently diagnosed with Alzheimer’s disease. How did the diagnosis come about? DC: Shirley has always been a gentle person. If anything was worrying her, she tended to keep it to herself. As well, her instincts in social situations were to keep people happy by keeping conversations going – with an occasional nod or comment while she attended to other matters. She was very adept at those kinds of social graces. So it’s not as if there was a sharp, noticeable change in her behavior. She was becoming more quiet, I guess, but Shirley has always been quiet. She was becoming less mobile, but Shirley was never particularly athletic. If I wanted to find Shirley, the first place I’d look would be in our local library branch. So it was hard at first for me to see that anything unusual was going on. I think that as people get older they tend to become more who they really are. ALZ: What were the clues? DC: About four or five years ago I began noticing that she was getting a little more forgetful. At first I didn’t think about it too much. I come from a time when everybody had a grandmother or an old Uncle Harry living in a room upstairs, and if they were a little forgetful or sometimes acted a little oddly, that was just what happens in life. So I didn’t really think of Shirley’s behavior as being separate from the natural course of events. 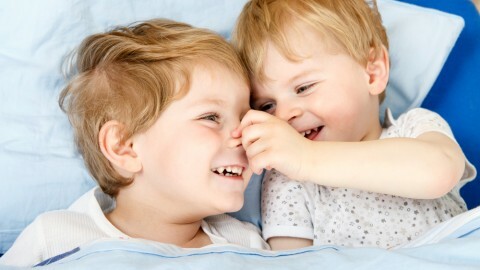 In a family there are little kids, bigger kids, adults, and older people and everyone has different patterns of behavior. ALZ: What finally led to the diagnosis? DC: It must have been a referral from Shirley’s family doctor. I can’t quite remember now, but in any event, we wound up over at Sunnybrook Hospital in Toronto, and Shirley was examined and tested by Dr. Sandra Black – a neurologist who is a renowned expert in the field of dementia and Alzheimer’s. Dr. Black diagnosed Shirley as being in an early stage of Alzheimer’s. And to be honest, I don’t think we really knew what that meant – not in any accurate or informed way. ALZ: How did Shirley respond to the diagnosis? DC: Dr. Black asked Shirley to take part in a study group, and although Shirley ultimately tired of the endless questions required by the sessions and eventually discontinued her participation, I think her initial involvement meant we were able to ease into the diagnosis gradually. As time went by she understood more of the situation but her understanding was more associated behavioral experiences than abstract prognosis. I think the gentleness of the process allowed her to take her new situation in stride. Meanwhile, of course, Dr. Black was able to make her continuing diagnoses and prescribe treatment. 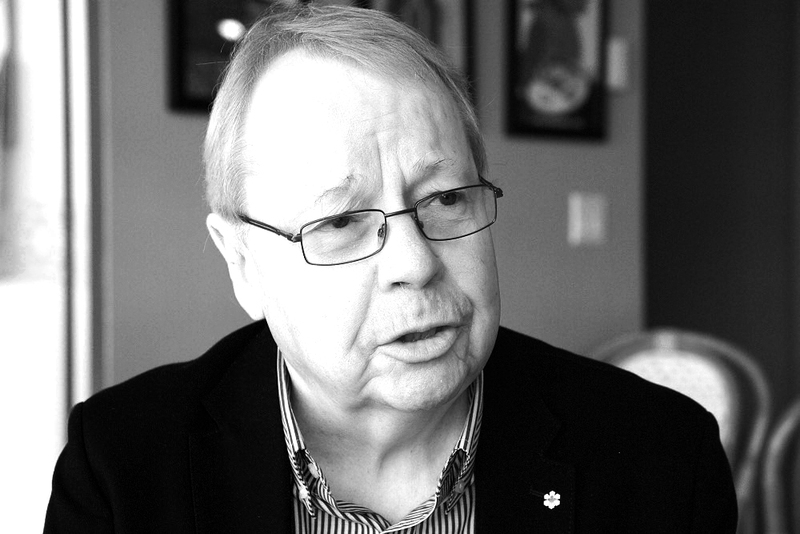 Crombie: Instinct remains, you have to just keep on trucking. I come from a time when everybody had a grandmother or an old Uncle Harry living in a room upstairs. ALZ: How did you respond to Shirley’s diagnosis? DC: I wasn’t sure what to make of it. It’s not that I was skeptical. It’s just that Shirley wasn’t acting very differently from some grandmothers and great aunts of my acquaintance. I was brought up by my mother to expect that life would deal you your fair share of good luck and bad. But that doesn’t make the bad any easier. This was going to be difficult, we could see that. And it got more difficult as we went along. Now that we are dealing with other health issues as well as with incontinence and immobility, it’s really a challenge. But my instinct, now that Shirley is pretty much in bed most of the time, is what it was when we first learned of Shirley’s condition: you have to just keep on trucking. But you don’t have to be alone on this. There are lots of support networks. It’s like anything else. When you break your wrist you immediately run into people who have experienced broken wrists. ALZ: How did things change after the diagnosis? DC: We’d already sold our house on Glencairn and had moved into a condominium. But Shirley’s condition wasn’t the reason for this. Our reasons were the usual: the kids had left and the house was too big for us. But the move turned out to be a stroke of good fortune. Things are much more manageable on one floor. Recently I had to move out our big, lovely king-size bed that Shirley and I shared all these years. That was a sad passage. Shirley needs a hospital bed now, and I recently found myself in Sleep Country buying what stores no longer call a single bed. A single bed is now known as a twin or double, for some reason. I guess nobody likes being single. ALZ: Did the diagnosis change how you think of Shirley? DC: I found that when they put a label on it, that made a difference. She was now in a category. And I’ve worried about this since. I’m not saying they shouldn’t use labels. For medical people and professionals in the fields of neurology and gerontology to be able to measure and compare different conditions is vital. Nor am I suggesting that Dr. Black was in some way confined by a category. She is someone who has enough confidence in her own experience, integrity and knowledge, to be able to say “we don’t know” when something doesn’t fit into a category. But doctors are like everyone else: if you put a label on somebody’s forehead you react to the label and not necessarily to what you are actually seeing. I found myself being a victim of this by looking for the symptoms they said were there, as opposed to observing directly. So I always had to keep that in mind. And if I learned anything during this period, it’s that you are better off to remind yourself to observe what you are observing and not being guided by a label. 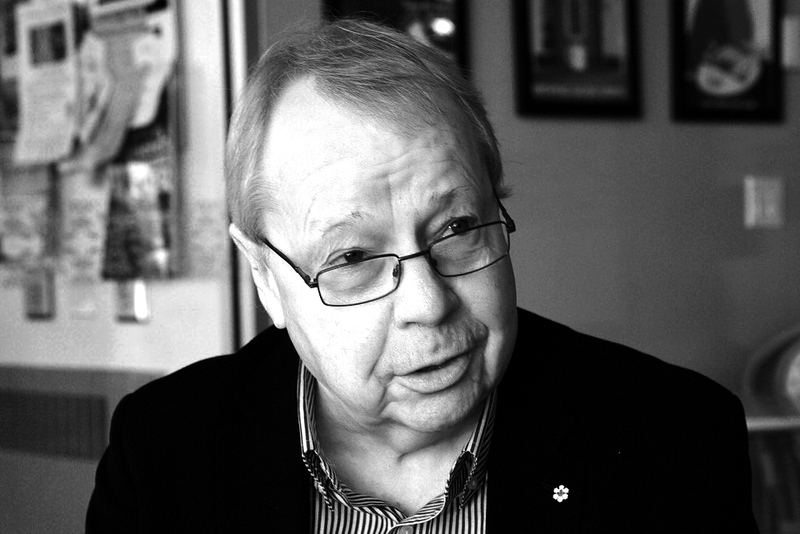 Crombie: When they put a label on it, that made a difference. Changing her, giving her showers now that she’s pretty much immobile – these things take a toll. ALZ: What advice do you give people? DC: I remind people that this is not primarily about Alzheimer’s. It’s not about a sickness. It’s about a person. It’s important to remember that. And it’s important to remember that there’s sometimes a disconnect between the described symptoms of a disease and the person. Shirley became more of what she was. So I tell people not to disconnect your loved one’s past from the present. What they may be losing is their sense of how to act in public, as opposed to their sense of who they really are. What Shirley was is a clue to who she really is now. ALZ: How does the future look? DC: I don’t have the strength I used to have. Changing her, giving her showers now that she’s pretty much immobile – these things take a toll. On my back. On my arms. So it was my daughters who stepped in and said we need more professional care. I rely on them to be more sure-footed about decisions than I am. So that’s what we have now: six hours a day, five days a week, with less on the weekends. ALZ: And what have you learned? DC: That it’s a part of life. That’s how I see it at any rate. You are tested. You have to alter your own behavior, but you also need to keep your own core. And when your core is affected that’s when you make changes. At least, that’s what my children remind me to think about. They tell me what I may not yet be able to tell myself. For instance: does Shirley go into a long term care facility? I’m closer to that decision that ever before. That’s a major thing. ALZ: Thank you, sir. It’s been a great delight speaking with you. And we appreciate your candor about so personal a matter. DC: Well, I hope it’s helpful. It’s kind of a run-on story. But then, it’s a kind of run-on thing.